Today I've got my next Petite Places Ornament to share with you! Another stamping and die cutting intensive project! Once again, I die cut everything out at the same time, from Papertrey Ink's Kraft Cardstock and then stamped everything via assemble line with my MISTI. This one was definitely the most finicky to assemble out of all of the Petite Places I've used (the gingerbread house, the church, and home and garden) but not too hard. I embossed the star with liquid platinum embossing powder and then adhered it to some craft wire and attached that to the back of the stable and I love it! (it's the little details that make these projects so fun!) I sprayed my die cut circle with adhesive and then stuck the stable down. After the stable was firmly in place I covered the sticky circle with my "sand" I'm not entirely sure what I used because I just had it in an unlabeled container in my fun flock and flower soft bin, I'm guessing some kind of flower soft? I stuffed the bottom of the ornament with some floral filler from Hobby Lobby and then wrestled everything in to place inside the ornament! I have another appointment with my midwife today (only 19 days until my due date!) and today is Jeff's birthday so I have a special dinner and a birthday cake to make! 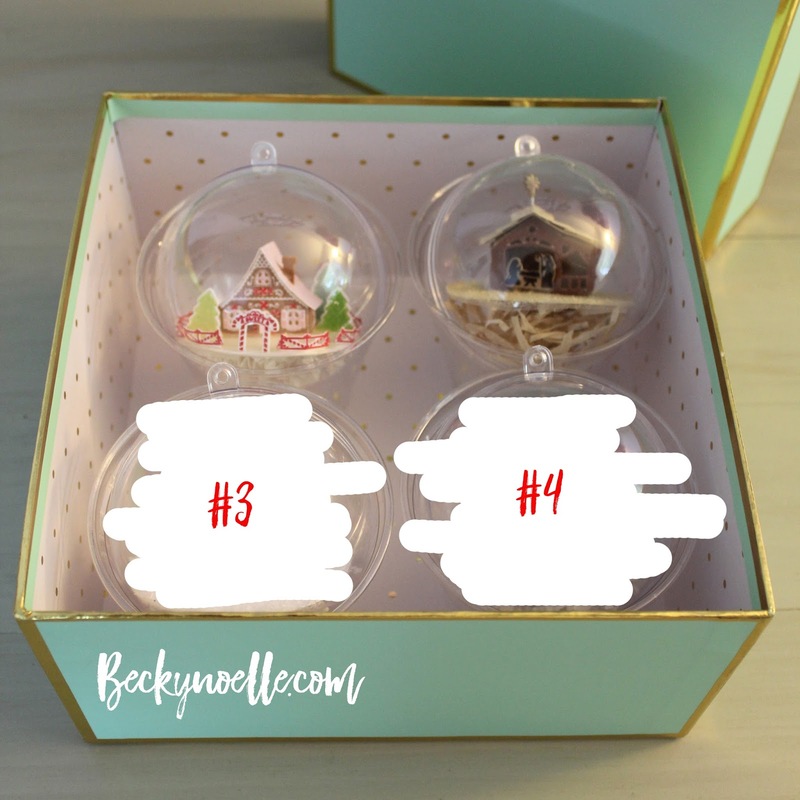 not listed are the wire I used for the star, the flower soft I used for the sand, and the floral filler I used to stuff the bottom of the ornament!